As you may remember from cream cheese and double-chocolate brownies, Martha cleverly placed 5 variations in the same section. 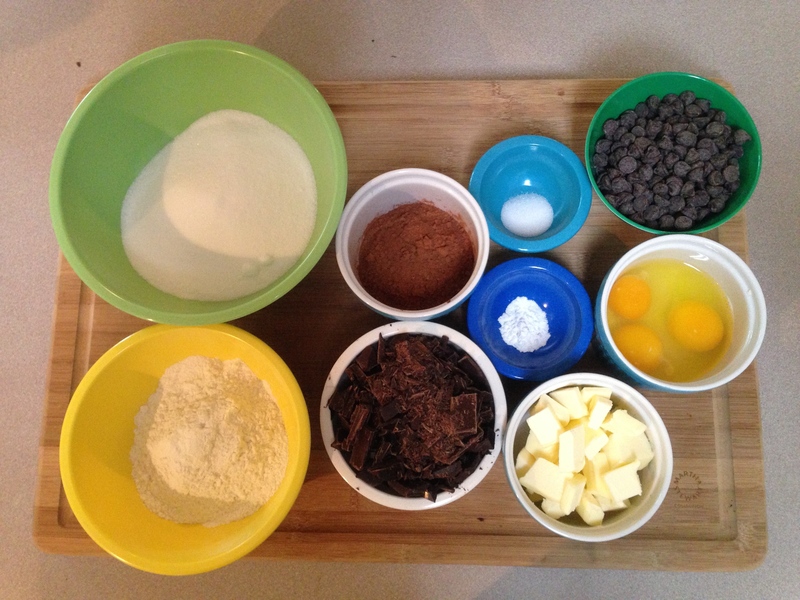 Step 1: Gather ingredients: flour, sugar, cocoa powder, salt, baking powder, chocolate chips, eggs, butter, chopped chocolate. She suggested using either bittersweet or semisweet chocolate, so I used one bar of each. I’m a rebel. 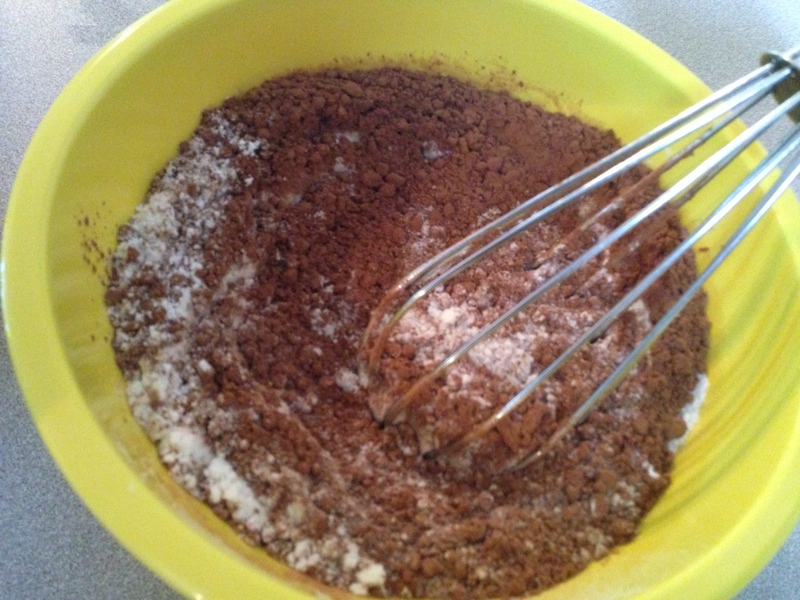 Step 2: Whisk together flour, cocoa powder, baking powder, salt. 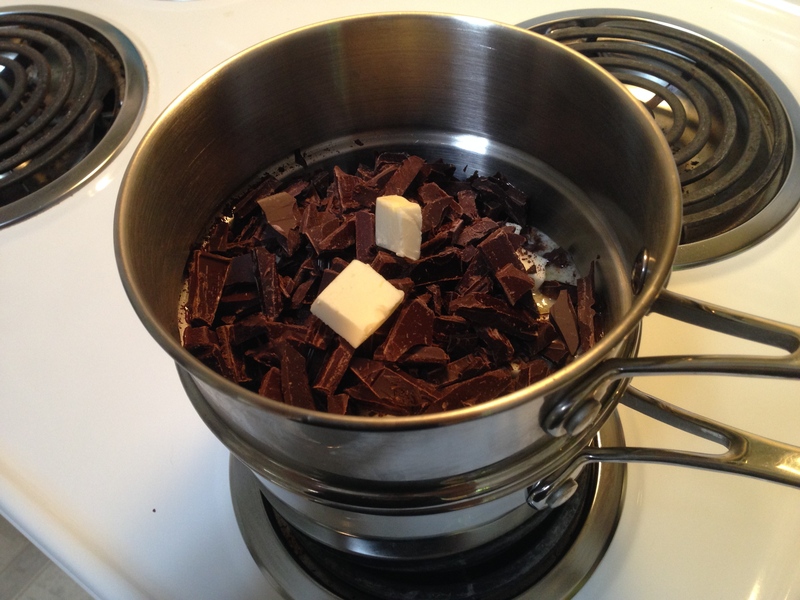 Step 3: In a bowl, over a pan of simmering water, (or in a double-boiler) melt butter and chocolate. I know this seems like a lot of work, but it’s really not. 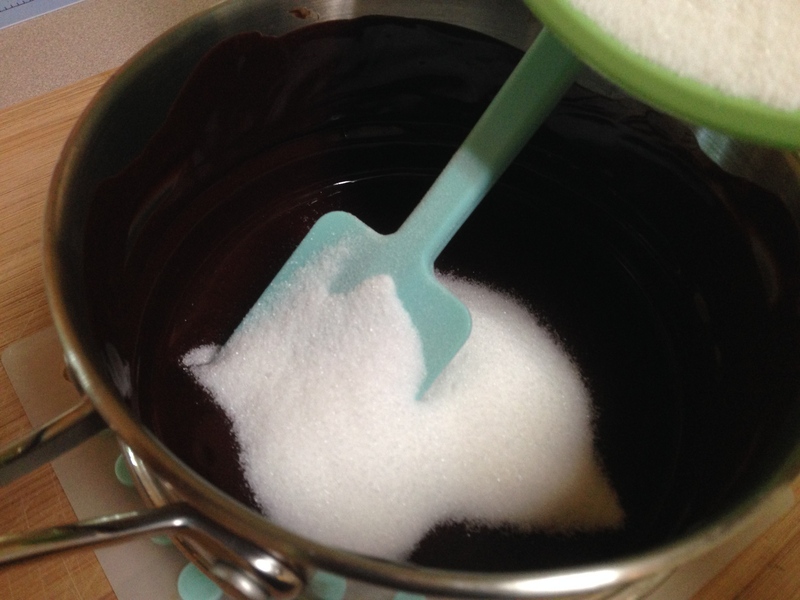 Step 4: Remove from heat and add sugar. 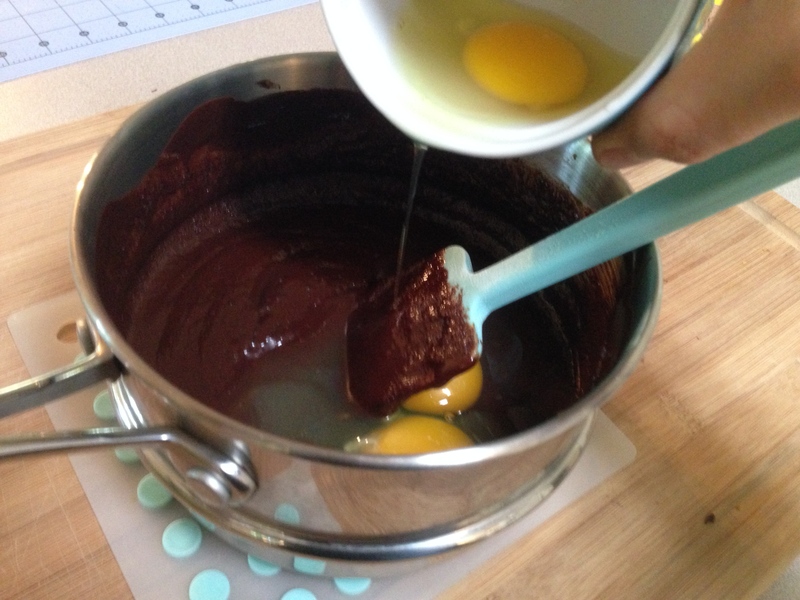 Step 5: Mix in eggs. After stirring the eggs in circles, I switched to a whisk. 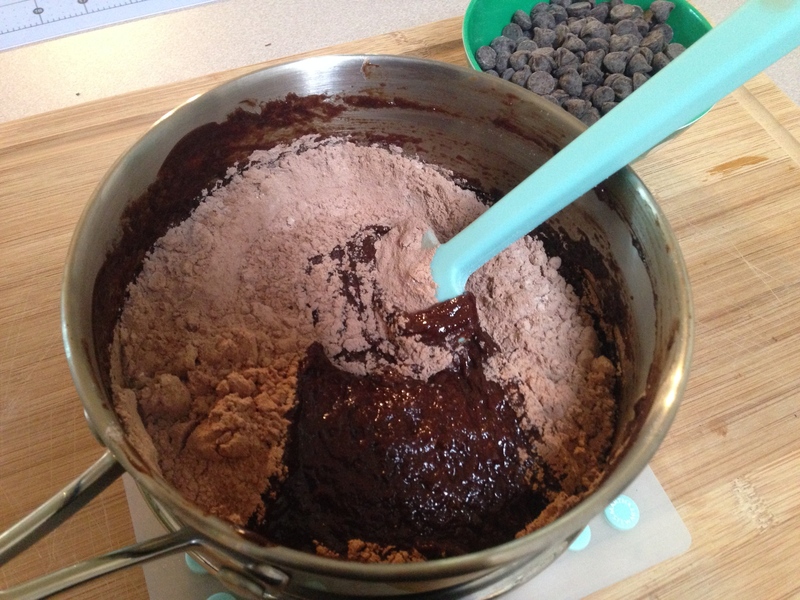 Step 7: Add chocolate chips. Step 8: Pour into a buttered, parchmented, buttered pan. 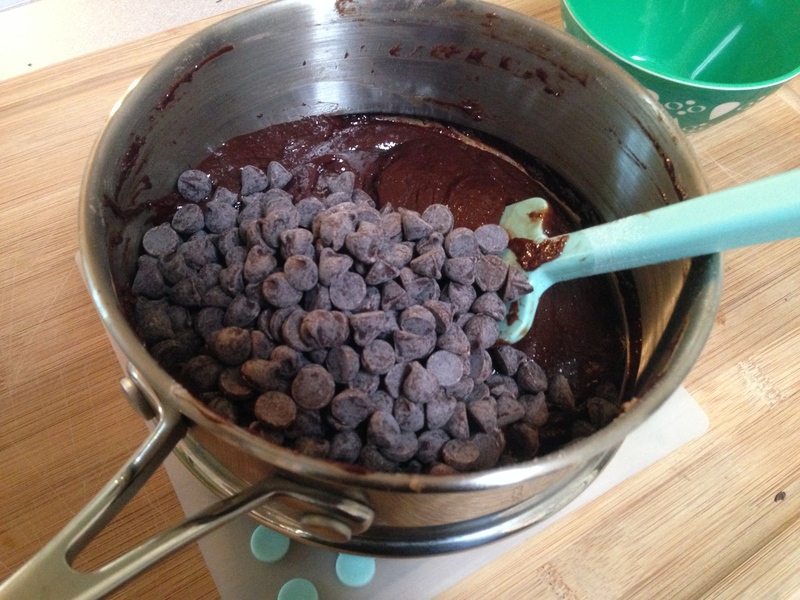 Bake for 25-35 minutes. For the record, it took 35. Step 9: Let cool for 30 minutes before removing from pan, then let cool completely before cutting. Whoopsie, no photo. 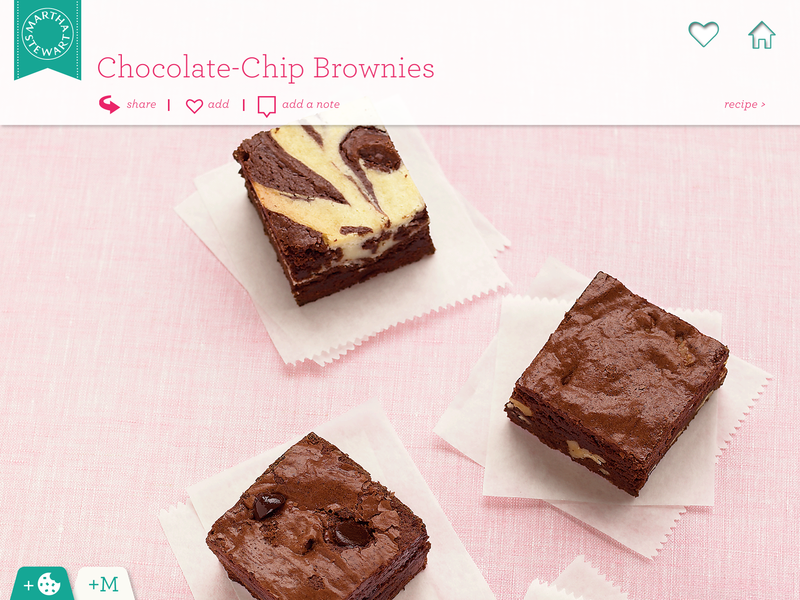 I got so bored from the ease of this recipe that I forgot. 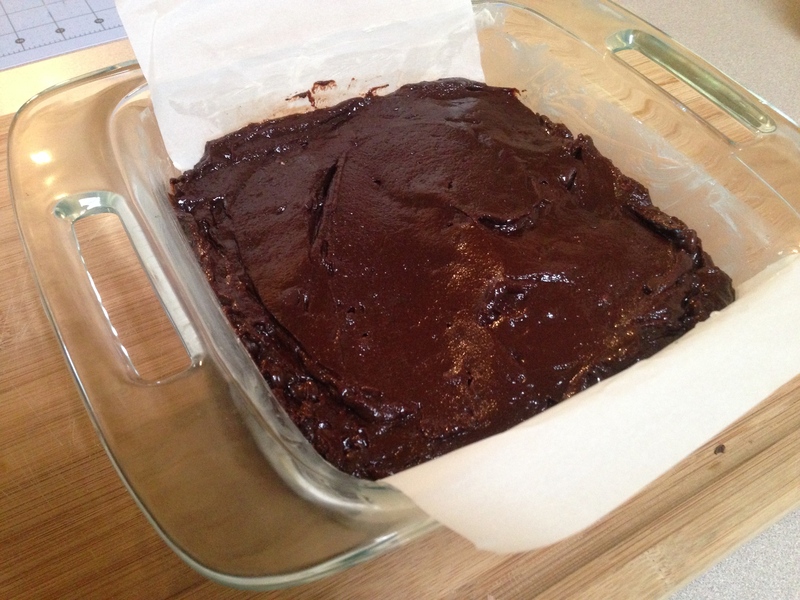 You can recover from a disaster like those coconut bars! Where have my cats been? They haven’t seemed interested in my baking for the past few. 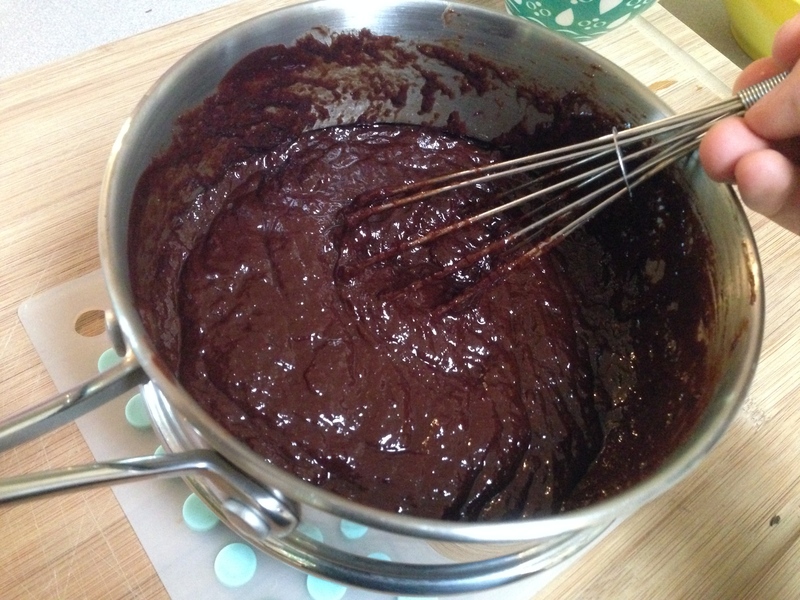 Why do people eat brownie batter? It looks disgusting. Well, folks, there you have it. Money, success, fame, glamour. I have to tell you, even though this takes a while overall, it’s worth it. 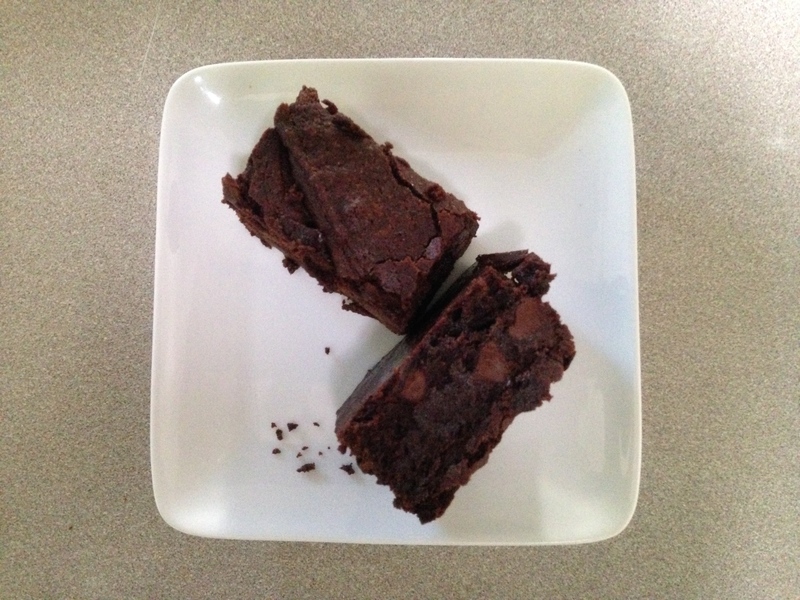 Boxed brownies don’t come close. These look SO delicious, I want them in my mouth. Great work, as always, Nate-o. I seriously adore your writing voice and photo quality.